The lead up to the Mediterranean Diet Roundtable conference at Yale University, where I will be privileged to serve as speaker and Master of Ceremonies has been, in a word, turbulent. Over just the past couple of weeks, there has been a bounty of news regarding the meeting's eponymous topic, involving both trials, and tribulations. As for the conference, it will draw experts and attendees from around the world, and celebrate the science, culinary delights, and commercial opportunities of one of the world's iconic diets. Just this year, the Mediterranean diet was voted “best overall” in the annual rankings by U.S. News & World Report. (Disclosure: I was one of the judges; my vote made only its small contribution to the communal verdict.) This year, as in recent years, a steady stream of peer-reviewed publications has highlighted the health benefits of this dietary pattern. This year, as for many years, decades, and generations, the Mediterranean diet is making its crucial contribution to the abundance of years in life, and to the vital, disease-free life in those years, enjoyed by two of the world's Blue Zone populations, in Ikaria, Greece, and in Sardinia, Italy. This was also the year that my wife and I co-hosted one of Oldways' magnificent culinaria. 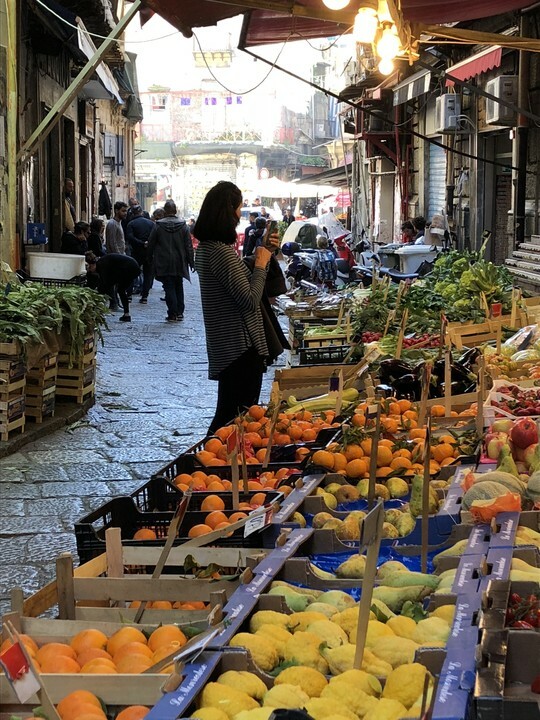 Our eating, drinking, walking, learning, communing tour of Sicily was its own particular feast of delights, and a vivid reminder of why eating in that part of the world so well expresses the opportunity to love food that loves us back. Thus went the narrative in its complimentary consistency, until the last few weeks. Then, in rapid succession, we heard that a major study of the Mediterranean diet was flawed and retracted; that the Mediterranean diet could, and perhaps should involve routine meat consumption; and that the Mediterranean diet was, in fact, disappearing from the Mediterranean. Trials and tribulations, indeed! Let's consider them in turn. The study involving the methodologic flaw, and the retraction of a publication in the New England Journal of Medicine was the now famous PREDIMED study. Given the media penchant for comforting the afflicted and afflicting the comfortable, this was clearly an irresistible opportunity for the latter, so the attendant headlines were predictably extreme. In fact, this story, so ostensibly linked to the Mediterranean diet, was really about something else altogether: the scrutiny of peer review, and the policing of science. There is a very good analogy for this process in the approval of drugs or vaccines by the FDA. Studies are conducted and carefully reviewed, and a decision is made. But those studies almost never involve more than thousands, and often only hundreds of participants. Once a drug is approved, its use may involve hundreds of thousands, or even millions. That provides a wealth of new information in the form of “post approval surveillance.” That new scrutiny is always valuable, and can even at times reverse a decision about a drug, as it did, rightly or wrongly, for Vioxx. Much the same happened here. The original paper was, of course, peer reviewed. But one among the thousands of subsequent readers noticed a data discrepancy others had missed. This is just the kind of policing scientists expect of one another; it is science working as it should. The flaw involved the distribution of participants to different arms of the study through randomization. There was a lot of dialogue between the journal and the investigators; careful reassessments on both sides; and then, recently, a conclusion. The original paper was, indeed, retracted- and replaced with a corrected version. The mistake was made by a research associate, and did not involve any of the lead investigators. Their only involvement was failing to discern the error, meaning they are human. There was no cheating, no scandal, no conspiracy, whatever headlines may have implied. An honest mistake was made, and went overlooked until now. The mistake was that spouses of some of the randomized participants were invited to participate, too. But since they were given the same dietary assignment as their significant other, they were not randomized. This violates the requirements for a randomized trial, and can compromise the data in ways beyond the scope of this discussion. The replacement paper involves the obvious remedy: the non-randomized participants were excluded, and the remaining data re-analyzed. If anything, because this reduced the sample size of the original trial, it should have threatened the finding that the Mediterranean diet conferred a distinct health benefit. But that did not happen. The reanalysis, based only on properly randomized participants, reaffirmed the original findings. Yes, folks, after the data correction, the Mediterranean diet is still good for us. To be clear, we don't know that just because the PREDIMED findings stood up to this dissection. Randomized trials that long predate PREDIMED told us the same. The experience of two of the world's five Blue Zone populations tells us the same. Conclusions in science are almost never the result of one study, no matter how large or robust, and the Mediterranean diet is certainly no exception. What we know most reliably, we know from many studies, many kinds of studies, and the clear correlation of research findings with real-world experience in large populations over extended periods of time. Our confidence in the advantages of the Mediterranean diet is born of all of these- so you, too, may be confident of them. Moving on, we also heard recently, again with a retinue of effusive headlines, that a study indicated the benefits of including red meat in a Mediterranean diet. This time, though, the flaw was much more fundamental than a statistical error. This study was designed not to search for truth, but to generate a specific answer. No matter the design of a study, the answer is rarely any better than the question. You can imagine that if you wanted to know whether red meat was a “good” addition to a Mediterranean diet, you would compare such a diet with meat, to such a diet without meat. You might even examine the “dose response” to meat by having no-meat, low-meat, and high-meat study arms. You would have to wrestle with other details, such as how to match the diets for foods other than meat, but let's ignore those subtleties. At a minimum, I bet we can agree that if you, unbiased soul that you are, wanted to study the health effects of meat in the context of Diet X, you would do something like the above. In this case, however, the study was funded, and presumably commissioned by The Beef Checkoff, and the Pork Checkoff. (I do not oppose industry funding per se; I just oppose true conflicts of interest that replace a legitimate pursuit of insight with a foregone conclusion.) There was no “meat free” diet arm. Rather, Americans with a typically bad baseline diet were sequentially assigned to a much better, Mediterranean diet with a moderate amount of very lean, clean meat- and the same dietary pattern with much of that red meat replaced by poultry. Yes, seriously. So, despite the headlines assuring us that red meat is OK now, the study was designed from the start to guarantee that conclusion; that was never actually tested. This study asked and answered two questions: (1) is a Mediterranean diet better with regard to various biomarkers than a typical American diet? And (2) is there much difference between that diet with lean red meat versus similar amounts of poultry? The answer to the first was “yes,” and may I add: duh. The answer to the second was “no,” and again no surprise. Which brings us to the one bit of news about the Mediterranean diet that is most genuinely newsworthy, and deeply disturbing. The Mediterranean diet is waning in the lands of its origin. This is despite its robust benefits to health and sustainability, and is at odds with the weight of scientific evidence. This is partly because of the kinds of media distortions noted above that serve to obscure fundamental truths about diet and health. Mostly, though, it is because of predatory profiteering. Large companies are willing to adulterate food supplies around the world, as they have done here at home, to market junk while maximizing profit, whatever the consequences to public health. We thus convene at Yale to celebrate a healthful, sustainable culinary tradition rooted in heritage, buoyed by science, sense, and global consensus, at a time when we are forced to wonder: Can we save it?